Born on March 29, 1917 . This memorial website was created in memory of our loved one, Violet Oaks 97 years old , born on March 29, 1917 and passed away on March 19, 2015. We will remember her forever. Today we celebrate the birth of Violet Oaks. This was also my Mom's birth date. I believe they would have enjoyed each other here on Earth. Perhaps that is happing in the spirit world. God Bless. Peace. Those 145 photos are a real treasure trove. I especially liked the ones of the young Violet and Violet outside and inside Growers Market building. She looks so well loved and will be so missed. I loved meeting Violet in the halls. She was always impeccably dressed in something of a violet hue with such a sweet smile. She will be missed by all of us here at the Eugene Hotel. 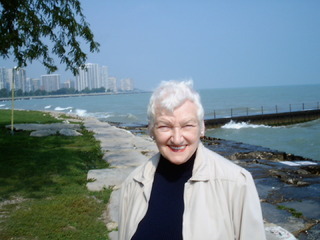 Violet Oaks was a wonderful, smiling woman, greatly beloved--she will be sorely missed. Violet was a most beautiful soul. We have been blessed to have known and loved her. We will miss her wonderful smile. I met Violet many years ago when she came out to visit David. I always enjoyed talking to her when she came to visit. I loved how calm and supportive she was. I could tell how much she loved her family, how proud she was of all of them and how she enjoyed being around people. She had a wonderful smile and a very calming presence. She will be missed.